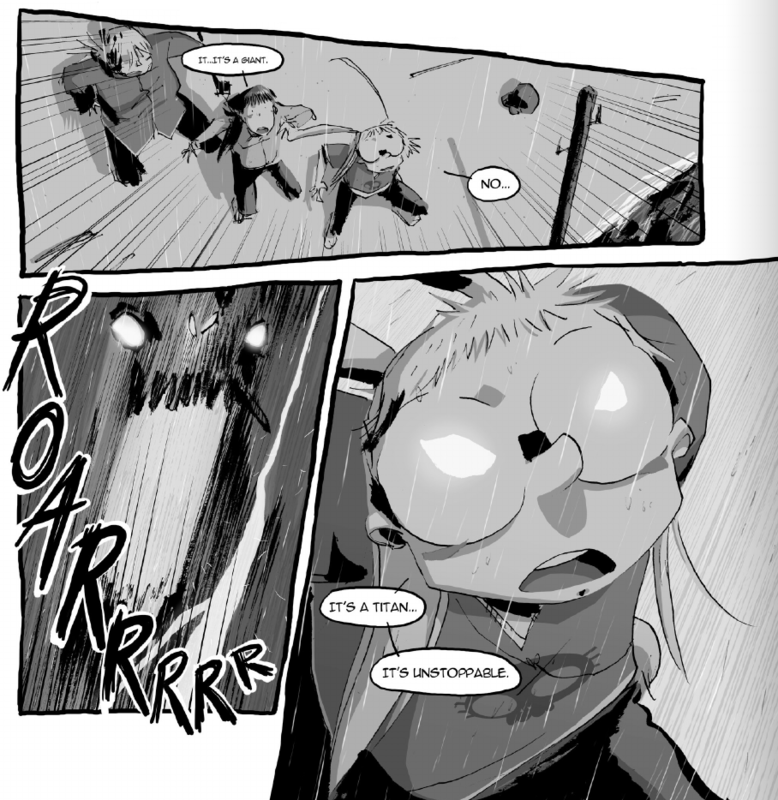 On the face of it, I Kill Giants is a fairly straightforward 'allegorical tale' about a young girl retreating into a world of fantasy in order to cope with a distressing family emergency. She's obsessional about her RPG boardgaming and spends her off hours researching Dungeons and Dragons game books to learn about her supposed enemies' strengths and weaknesses. and openly credits Barb with driving it off. Although the damage caused is attributed (officially) to a freak hurricane, is there any indication of what Sophia actually saw and what does this tell us about Barbara's outlandish claim that "I kill giants"? It appears to have been left intentionally ambiguous as Joe Kelly reveals in this interview. How much changed between the graphic novel story and the movie’s script? Kelly: The story is fully intact. The changes are all in how Barbara’s internal life is externalized. In comics, we can play with form in such a way that if she speaks to fairies or things happen in front of other characters, we can still maintain the “Is it real or not?” question. In a film, though, certain bits are complete “giveaways” in one direction or the other. It was critical to Anders and myself to maintain that question for the audience, so all of the changes are meant to keep them guessing and keep Barbara’s reality intact. Of course Sophia could have actually seen a tornado and just misidentified it or been playing along to please Barbara. In fact the style of the giants and Titan were explicitly chosen to look natural and "of the environment" which plays into these theories. NFS: What served as your primary inspiration for the appearance of the monsters in both the comic and in the film? Kelly: That was all Ken Niimura's genius. He's an incredible artist and meticulous designer. We went through a lot of designs of giants and the Titan. We were both fans of Shadow of the Colossus, which helped inform the Titan. Mostly, we were looking at things we wanted to avoid. The classic version of a giant as a "tall man dressed in peasant's garb" was our "no-fly" zone. Ken just went wild from there. For the film, Anders took inspiration from Ken, and then being an artist himself, started doing designs of giants that were even farther afield from what we'd done in the book. We wanted creatures that truly were of their environment—asymmetrical, of the natural world, etc. The design team really came through for us, especially with the Titan. Not the answer you're looking for? Browse other questions tagged movie comics i-kill-giants or ask your own question. Who do we see packing Gwendolyn's clothes? Did Superman Ever Meet His Parents or See What Krypton was Really Like? Did the stone giants fighting in the mountains have any effect on the story? What is this comic featuring a man whose eyes see two different versions of the world? What musical version of Cinderella did I see on television?